The Sky View development is a mixed-use twin-tower complex, with a Hotel, residences and serviced apartments, in downtown Dubai. The new landmark will be known as the figurative gateway to Downtown Dubai. The project was designed by Skidmore, Owings & Merrill, who gave it a distinctive facade and a jaw-dropping “Sky Deck”. The deck not only, serves as a 3-level link between both towers, but also offers an open space with an infinity pool, restaurant, bar ,and more. 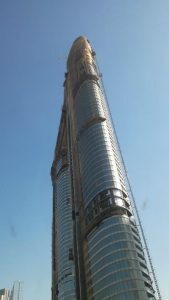 Both towers have underground links to the Dubai Metro and to The Dubai Mall (one of the world’s largest shopping malls). 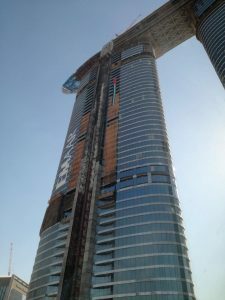 The development has an unique view, with the Burj Khalifa (the world’s tallest building) on one side, and the Arabian Gulf on the other. 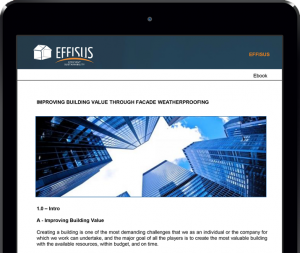 The chosen solution for sealing the towers’ facade connections as Effisus Ecofacade, in order to protect the towers against water damage and to improve their energy efficiency.